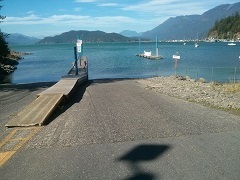 - The Harrison Public launch has two concrete ramps with traction aids and central floating wharf. 16$ for launching and parking. 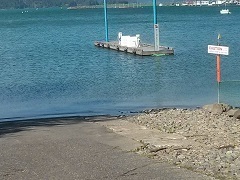 Located just east of the lagoon. 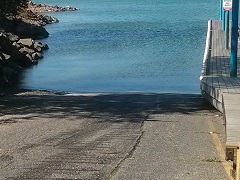 Launch on left, retrieve on right. 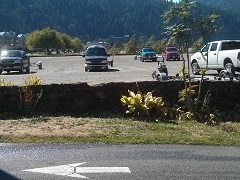 Located off of Hwy. 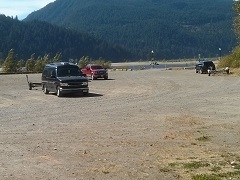 #9 close to the town of Agassiz, BC. 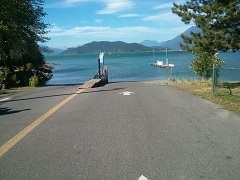 The popular resort community of Harrison Hot Springs, BC, is located at the south end of Harrison Lake. 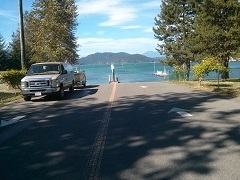 There is an access road that follows the east side of the lake to various camping areas. 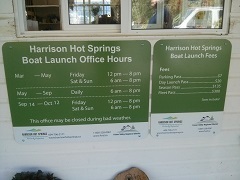 Harrison Hot Springs features large mineral hot springs, beaches, swimming, water sports, sailing and resort accommodations. 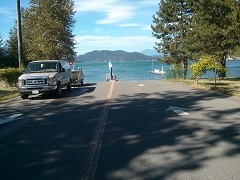 Camping areas can also be found on the east side of the lake.